An experimental vaccine for bone cancer in dogs could offer a road map for a human version of the treatment, researchers report. The new vaccine is made from a dog’s own tumor and targets specific cancer cells and eliminates the need for chemotherapy, which can cause toxic side effects, according to the University of Missouri researchers. “A vaccine is made out of the dog’s own tumor for the dog’s immune system to recognize,” explained Jeffrey Bryan, a professor of oncology at the College of Veterinary Medicine. He is also director of the university’s Comparative Oncology Radiobiology and Epigenetics Laboratory. 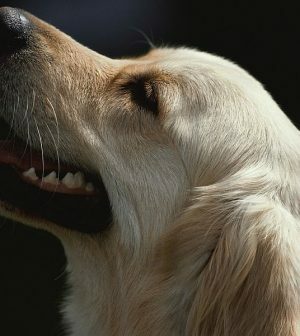 “The dogs received no chemotherapy and received only immunotherapy after their surgery. It’s the first time that dogs with osteosarcoma [bone cancer] have experienced prolonged survival without receiving chemotherapy, which is really exciting,” Bryan said in a university news release. This treatment uses a dog’s own lymphocytes, which “are immune cells that recognize where pathogens are hiding in the body and then kill the cells harboring those pathogens,” Bryan said. “After we remove the tumor, we create a vaccine using the dog’s tumor cells to stimulate anti-tumor lymphocytes,” that are then transfused into the dog, he explained. “These cells are activated and essentially really angry at whatever they are supposed to attack. When put back into the body, they should identify and destroy tumor cells. Ideally, this immune response would destroy every last tumor cell,” Bryan said.